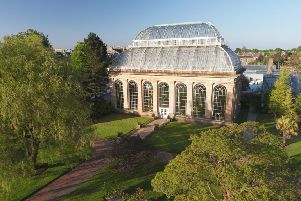 The number of visitors to Glasgow has reached a record level, with more than 780,000 people stopping there last year, according to Travel Trends data from the Office for National Statistics. With an abundance of culture, style and impressive architecture, its popularity comes as no surprise. When visiting a city, going to a museum is often high on the to-do list and at the self-proclaimed second city of the British Empire, visitors are spoilt for choice. In 2017, the Kelvingrove Art Gallery & Museum in the West End opened its doors to more than 1.25 million people, according to the Association of Scottish Visitor Attractions. The museum – which had had a massive refurbishment – now proudly shows off its vast collection of objects which includes the world-famous Christ of St John of the Cross by Salvador Dali. A lunchtime treat is when the 100-year-old Kelvingrove Organ can be heard throughout many of the 22 themed galleries where some of the finest work by the Glasgow Boys and Scottish Colourists is displayed. There is still time to catch its exhibition of the city’s most celebrated architect, Charles Rennie Mackintosh, which runs until Tuesday. Although Mackintosh’s acclaimed Glasgow School of Art has been badly damaged by fire, many of his art nouveau designs can be seen across the city. Seek them out at the Lighthouse on Mitchell Lane, the Willow Tea Rooms on Buchanan Street or in the Style Mile, as the Buchanan Street area has become known. The street is the ultimate destination for fashion aficionados as it has some of the biggest clothing brands and designer stores. Its two shopping centres – Buchanan Galleries and Princes Square – are both within walking distance of the bus station and Queen Street railway station. St Enoch shopping centre is also nearby and as well as having one of Scotland’s only two branches of the world-famous toy emporium Hamleys, it is soon to include a cinema. Considered by many as the UK’s most vegan-friendly city, Glasgow has eateries and bars that are ideal stops after a productive day of shopping and sightseeing. The Merchant City is a hub of restaurants that offer north and south Indian cuisine, Brazilian, Italian and Scottish dishes, as well as a hotspot of pubs serving cocktails and craft beers. Dating back to the mid-1700s, its warehouses were used by merchants to store tobacco, sugar and tea. To the west, off Byres Road, is Ashton Lane, a small cobbled backstreet packed full of bars and charm. It is tucked away behind Hillhead Subway Station and at night it is adorned with fairy lights. There are cosy outdoor seating areas and the bars often have live music. Glasgow’s notable music scene has produced artists such as Simple Minds, Lulu and Franz Ferdinand and was the UK’s first Unesco City of Music. King Tut’s Wah Wah Hut in St Vincent Street is one of the most celebrated venues, where Oasis, Radiohead and Beck, among others, feature on its Steps of Fame. All musical tastes are catered for at the city’s other sites such as the Royal Concert Hall, the Hydro and the Barrowland in the Barras market.